Activities GALORE FOR FESTIVAL ATTENDEES! 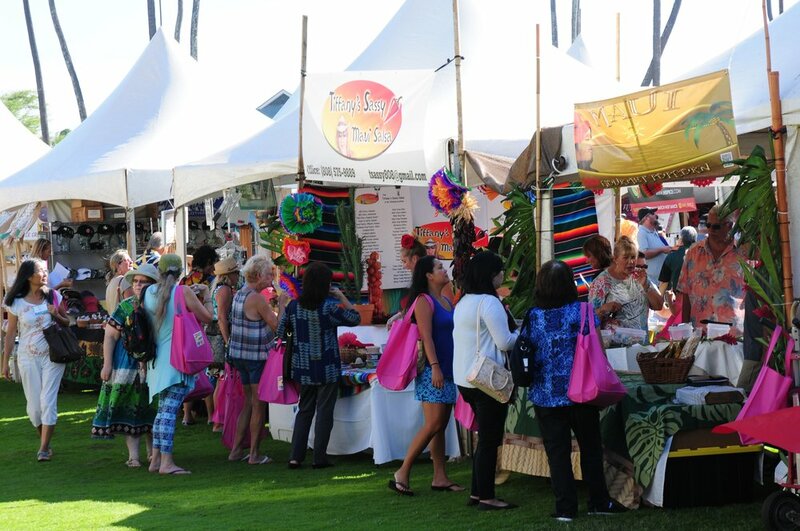 As Maui County’s largest products show, this two-day event offers an ideal one-stop shop for residents and visitors seeking made-in-Maui-County products. In addition to the fabulous shopping with over 140 vendors, attendees will also enjoy ono food from local food trucks, on-stage activities, sample tastings of locally made spirits (must be 21 years or older to sample liquor), awesome prize drawings, and tons of fun! Opening Ceremony at 5 pm with light pupus. Pasha Hawaii Food Court with several food trucks offering a variety of foods for purchase. Enter to win fabulous drawing prizes (must be present to win). Attendees receive a free Festival tote bag. Qualified wholesale buyers/distributors may receive complimentary admission. If you are a wholesale buyer/distributor and want to be invited to the special Buyers Preview on Friday, November 1, 2019, 1:30 pm - 6 pm, please click here to register. Live entertainment, vendor product demonstrations, fashion shows and more on the Presentation Stage. Prize drawings throughout the day (need not be present to win). First 2,000 attendees receive a free Festival tote bag.